Read Part I of Karl Cohen’s essay, published in last week’s issue, here. After enjoying the “Leading Ladies and Femmes Fatales: The Art of Marc Davis” exhibit currently on display at the Walt Disney Family Museum and talking with Andres Deja, I went into the museum’s lower lobby to collect my thoughts. Alice Davis, Marc’s wife, was seated at a nearby table and invited me to join her. One of the first things she told me was that Walt was the best boss she ever had. After attending Chounaird Art Institute, Alice had worked as a clothing designer. Walt hired her, from time to time, to design costumes. Her first job with him was on Sleeping Beauty. Marc Davis, visual development for SLEEPING BEAUTY. Her praise for Walt was prompted by a meeting with him after being invited to create the costumes for “It’s A Small World.” When she asked about the budget, Walt replied that she could spend whatever was necessary to make it the best attraction possible. He wanted people to come back to Disneyland to admire the ride again and again. It was important to him to have the best costumed dolls regardless of costs. He gave her free reign. From the exhibit I learned that Alice Davis had received a scholarship to Chounaird to study animation. Marc was one of her teachers. She explained that—while she had received two scholarships to study animation—she never worked as an animator because the industry in 1950s US rarely hired women as animators. This wasn’t just Disney policy. It was true of every animation house in the US. Later, when she heard that women were being hired in Canada as animators for the National Film Board, it was too late for her to consider moving north. Alice mentioned Marc used to go out sketching at the Griffith Park Zoo with Retta Scott, the first woman at Disney to become an animator. Retta was hired by Disney in 1938 to work in the story department, but—after Walt saw her drawings of animals—he transferred her to do animations needed for Bambi. I got to know Retta in the 1980s when she was in San Francisco working at a small studio with Bud Lucky on animation for Plague Dogs. Bud later worked as an animator and teacher at Pixar. Retta died in 1990. In the exhibition’s video interview, I noticed that behind Marc slightly out of focus were large tribal sculptures. Alice seemed surprised that I recognized them from New Guinea (I own 5 or 6 minor works from that Pacific island). It turns out Marc and Alice had made several trips to the Papua region to collect tribal art. 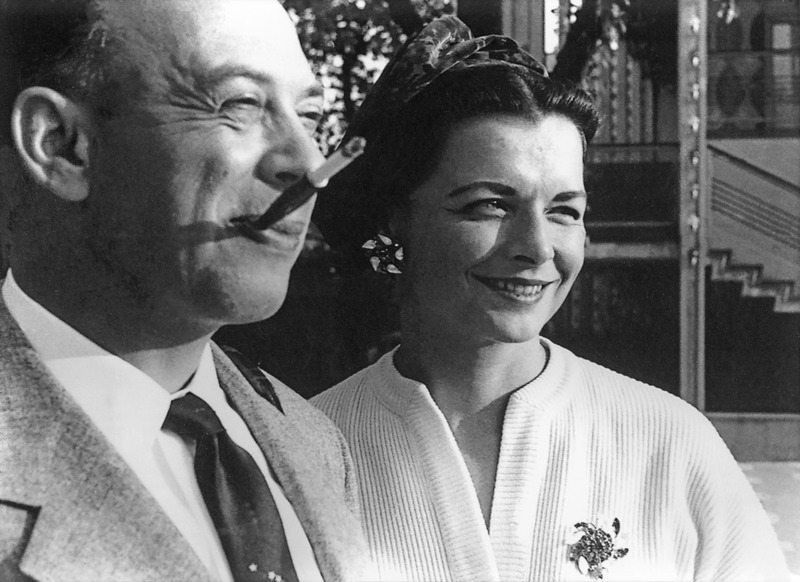 Marc Davis and his wife, Alice Estes Davis. At this juncture people began arriving for a party in her honor, so our conversation ended, even though there was so much more to talk about, including Marc and Alice’s valuable endowment to the Marc Davis Lecture Series at the Academy of Motion Pictures Arts and Sciences in Los Angeles. The series began in 1994 with Marc presenting the first talk. Since then the presenters have included Nik Park, Chuck Jones, Richard Williams, Hayao Miyazaki, John Lasseter, The Brothers Quay, Frederic Back, and dozens of other important figures in animation. In 2013 the lecture series was expanded to include a major event at the annual SIGGRAPH conference. Nine directors including Henry Selick, Pete Docter, Ron Clements, Eric Goldberg and David Silverman made presentations. 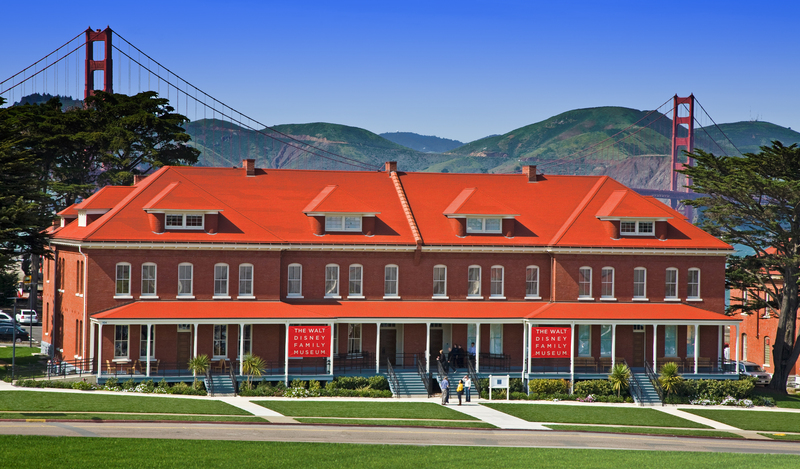 After hors d’oeuvres and beverages, the Walt Disney Family Museum’s Executive Director, Kirsten Komoroske, greeted the crowd and introduced the guests of honor including Marc and Alice’s relatives, the Miller family. Marc Davis, character sketches for CINDERELLA. Although Marc Davis died in 2000, his legacy lives on. (He would have turned 101 in March; Alice is now 85.) It was wonderful being able to spend a few hours learning about him. The exhibit, “Leading Ladies and Femmes Fatales: The Art of Marc Davis” at the Walt Disney Family Museum ends November 3, 2014. The Mary Blair show ends September 7. 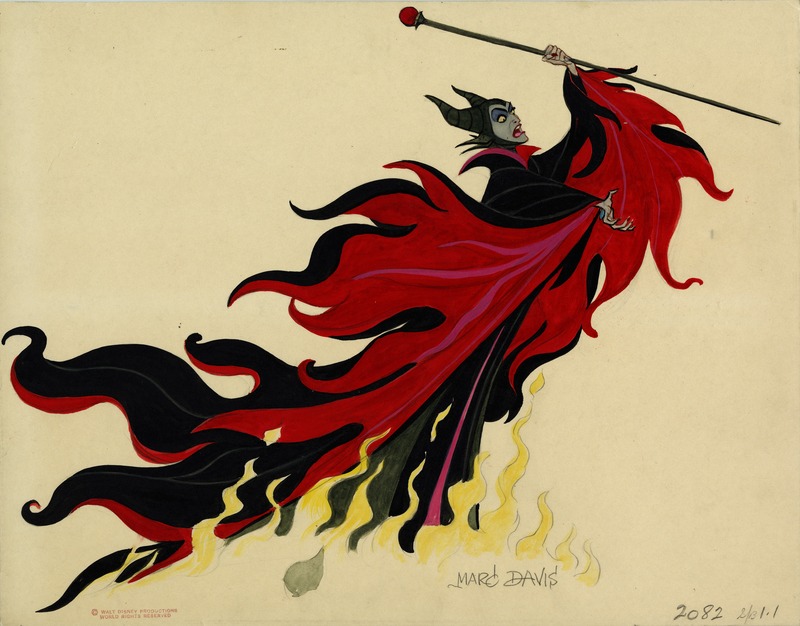 The Marc Davis exhibit “Leading Ladies and Femmes Fatales” runs from now through November 3, 2014, at the Walt Disney Family Museum. Read Part I of Karl Cohen’s essay here. Visit the Walt Disney Family Museum’s page on Marc Davis’s exhibition here. Karl Cohen teaches animation history at San Francisco State University and is the president of ASIFA-SF, a chapter of the international animation association. He is also the author of the book Forbidden Animation: Censored Cartoons and Blacklisted Animators. This entry was posted in Films and tagged animation, Disney, Films, Karl Cohen, museum exhibit, Walt Disney Family Museum. Bookmark the permalink.